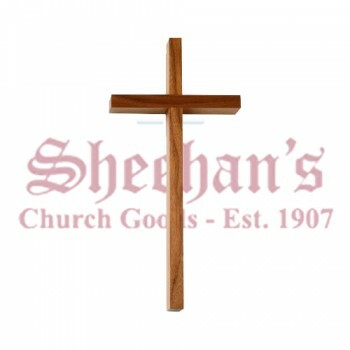 Decorate your home, school, business or church with a beautiful hanging cross or hanging crucifix from Matthew F. Sheehan. 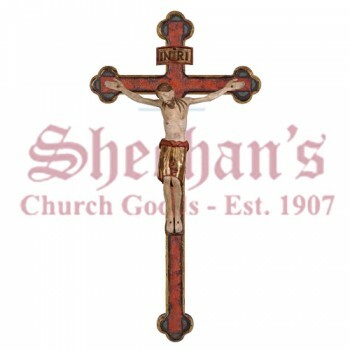 Our selection of fine religious goods includes a number of beautiful hanging pieces that will bring style and faith to your life. 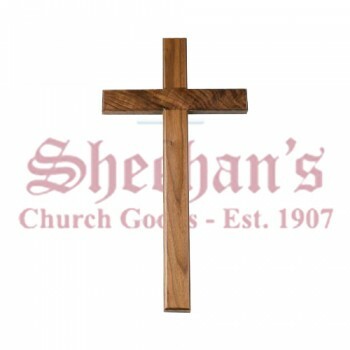 Our crosses and crucifixes are made in a variety of sizes and materials to suit your needs. 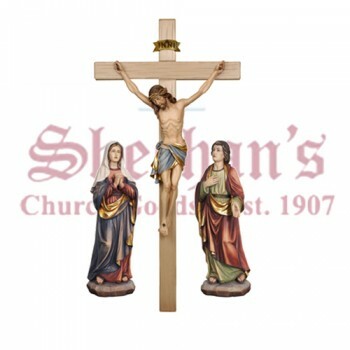 Our designs range from simple to extravagant. 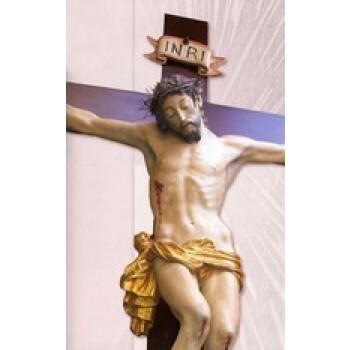 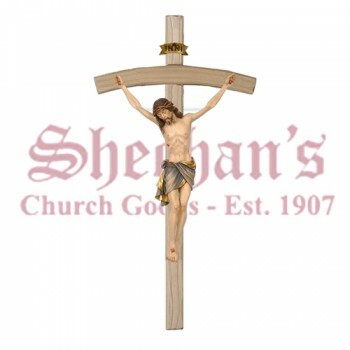 We offer everything from simple hanging crucifix styles made with wood to beautifully carved wall crucifix designs. 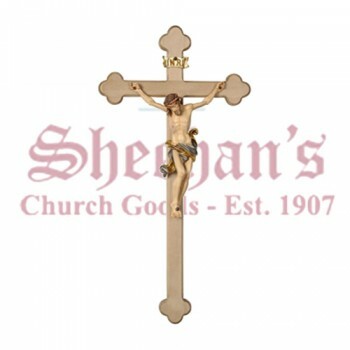 Choose a delightful small hanging crucifix for your home or opt for large church statuary hanging crosses for your place of worship. We offer numerous products to meet all of your individual needs. 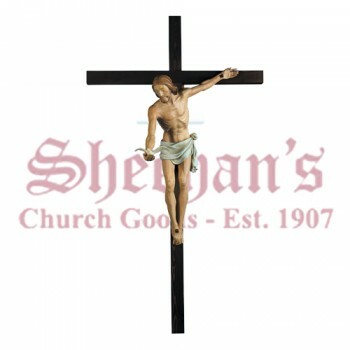 Our wall decor items are designed to be hung. 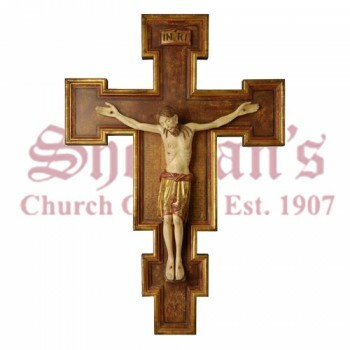 They come with the proper wall hanging hardware pre-installed to make them easy to mount on a wall. 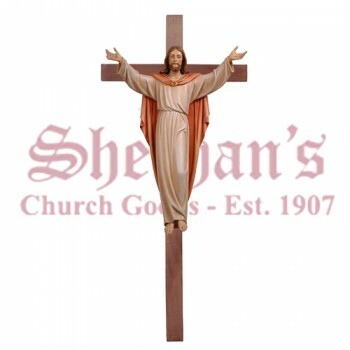 With numerous sizes available, it's easy to find the perfect piece. 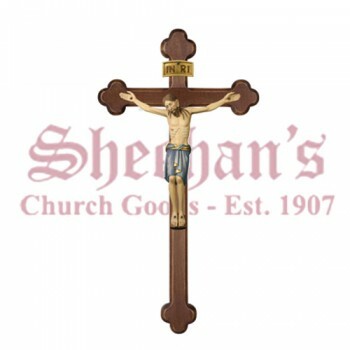 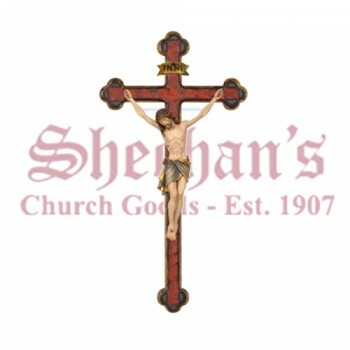 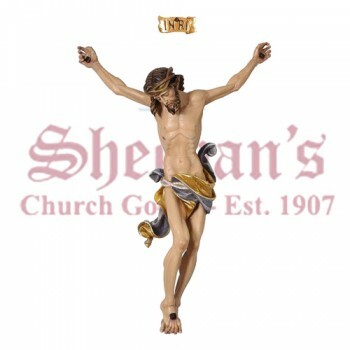 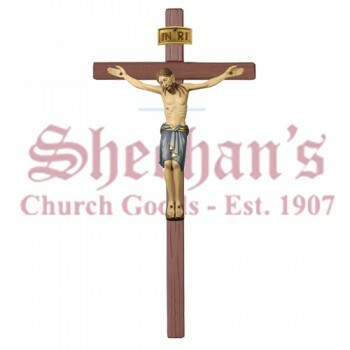 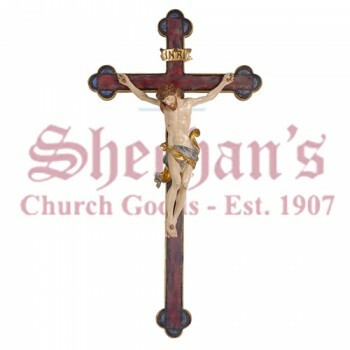 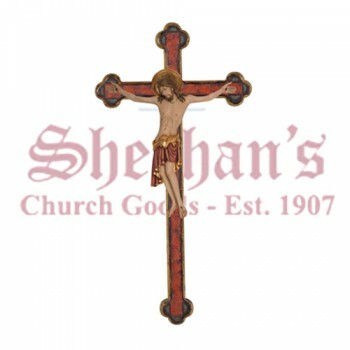 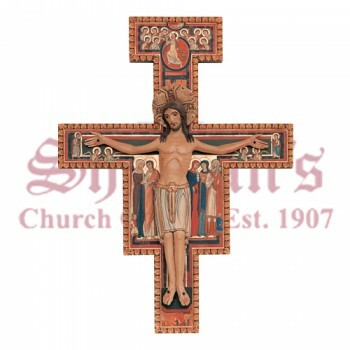 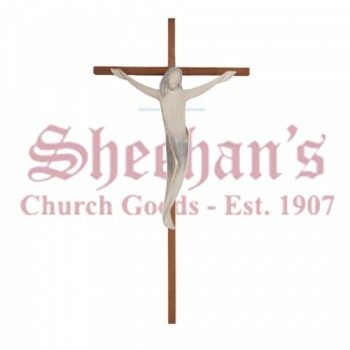 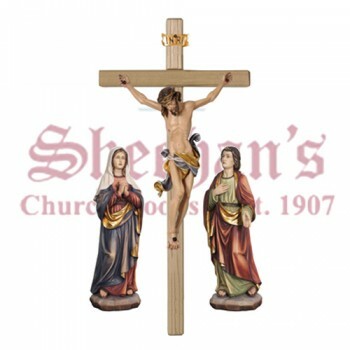 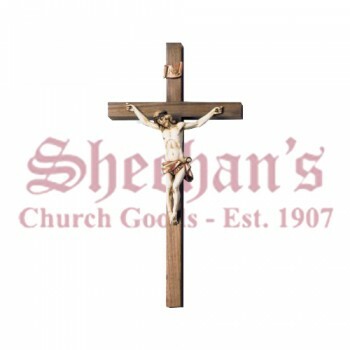 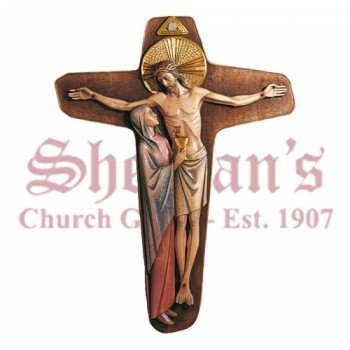 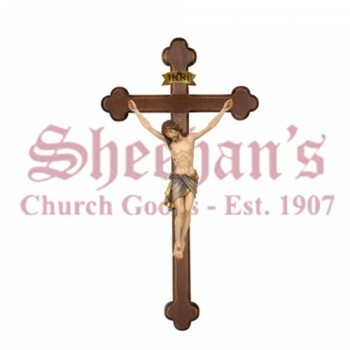 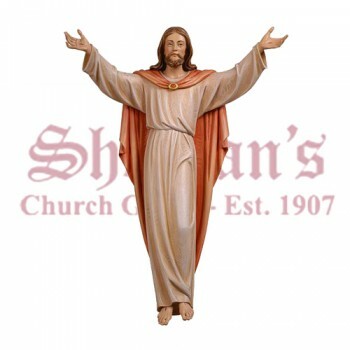 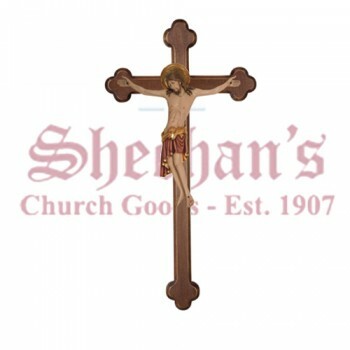 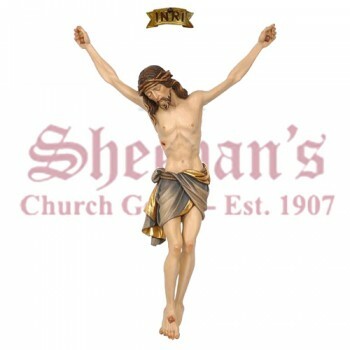 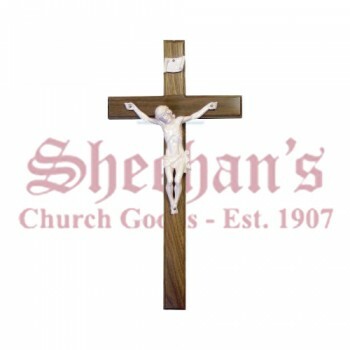 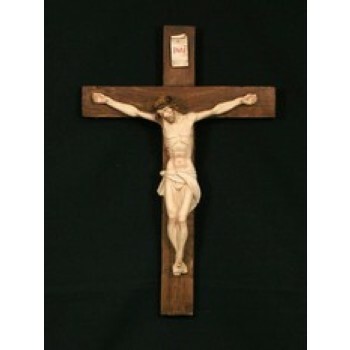 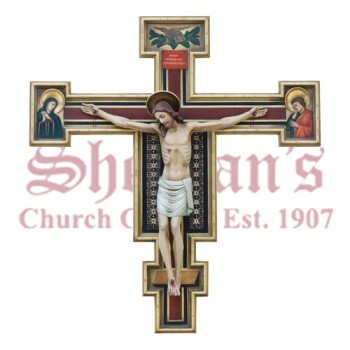 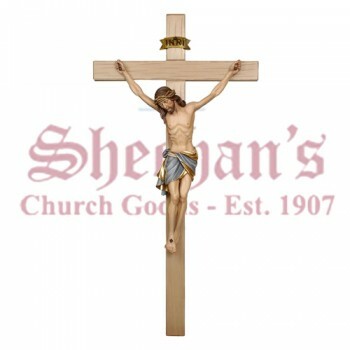 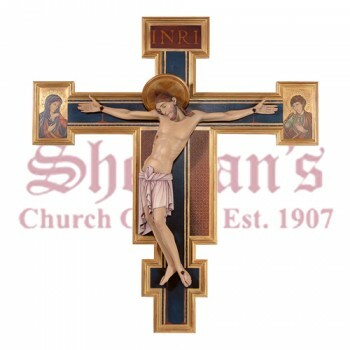 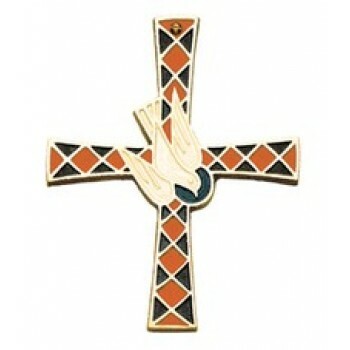 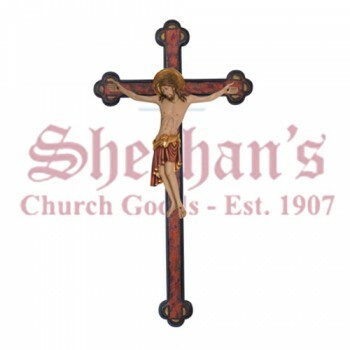 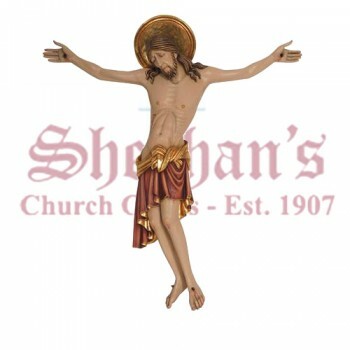 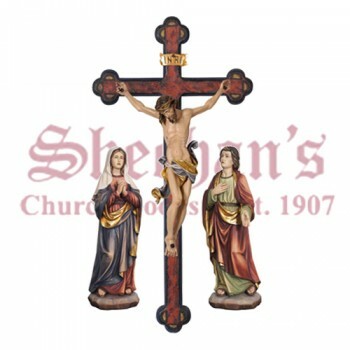 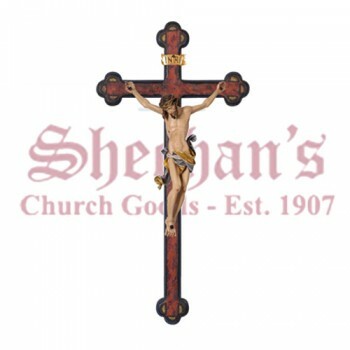 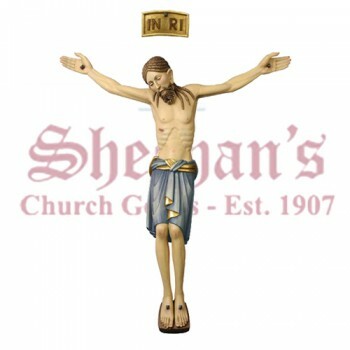 Choose Matthew F. Sheehan for the finest selection of hanging crosses and crucifixes. 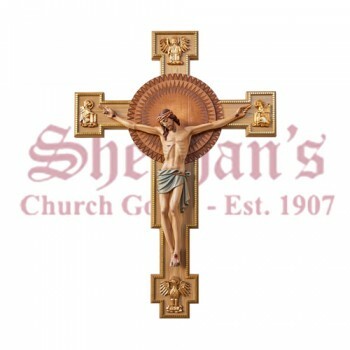 Shop online, from the comfort of your own home, to have access to dozens of beautiful designs of wall hangings. 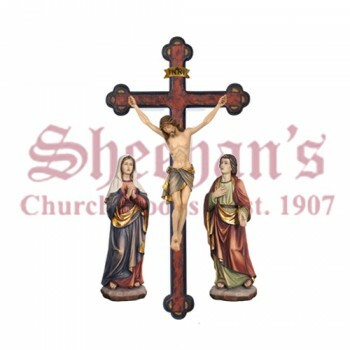 Find the perfect piece for your home, business, school or church and have it delivered right to your door in less time than you can imagine. 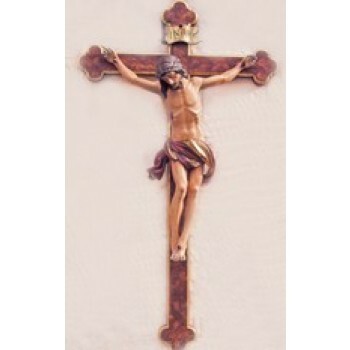 Crucifix in Antiqued Alabaster 9"